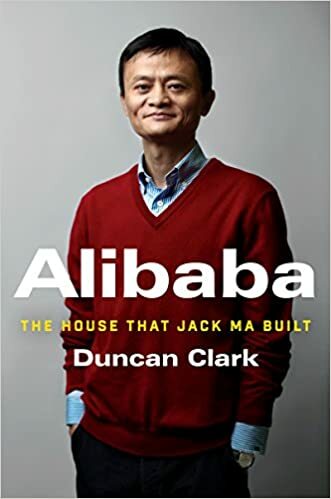 Like most people I’ve talked to, I enjoyed reading Duncan Clark’s Alibaba: The House That Jack Ma Built. The book starts off with a bit too much entrepreneur hero worship, but quickly finds its rhythm and ends up being a very engaging tale of the Chinese internet’s early days. I lived through some of the events Duncan relates (as a technology reporter for Dow Jones in 2001-2003), and enjoyed being reminded of some now-forgotten figures of those bubbly times. The book is easy to recommend for those who don’t know the story of Alibaba’s rise (i.e. most people outside China), and for getting a sense of the wacky world of the Chinese internet. Jack’s fame stems from the story of how a Chinese company somehow got the better of Silicon Valley, an East beats West tale worthy of a Jin Yong novel. His continued success, though, is becoming a story of South versus North— of a company with roots in the entrepreneurial heartland of southern China testing the limits imposed by the country’s political masters in Beijing. Jack is already the standard-bearer for China’s consumer and entrepreneurial revolution. Now he is advancing on new fronts, such as finance and the media, that have long been dominated by the state. Forged in the entrepreneurial crucible of Zhejiang and fueled by his faith in the transformative power of the Internet, Jack is the ultimate pragmatist. By demonstrating the power of technology to assist a government confronted with the rising expectations of its people for a better life— from the environment, education, and health care to continued access to economic opportunity— Jack aims to create the space for him to fulfill even greater ambitions. So what should the next book about the Chinese internet cover? In part it must necessarily be less about the startup phase and more about strategic positioning of the three giants of the Chinese internet–Baidu, Alibaba, Tencent–in the same way that writing about the English-language internet has to be about the strategic positioning of Google, Amazon, Apple, Facebook, etc (out of the Chinese trio, Alibaba has the more charismatic leader, but Tencent is just as interesting a company, and deserves a book of its own). And in part it has to tell the story of the complicated relationship between the government and the internet companies, which, it seems safe to say, is not like what we see anywhere else. Alibaba’s Alipay online payment service (run by a separate company called Ant Financial) is on its way to becoming a de-facto state-owned enterprise, as major state institutions have put lots of money in its last two rounds of venture capital fundraising. Part of Alibaba is in turn investing in state-owned enterprises as it tries to show how its technology can be of service to the state. Jack Ma and the heads of the other are now regularly called to appear at government meetings on internet policy, which tend to emphasize security issues and state control. The story behind all these events will certainly not be easy to dig out, since no one involved has much incentive to be forthcoming. But that’s the story that needs to be told.